Read the Daily Herald Article about it here! Congratulations to the following Seniors on their academic achievements! Well done! 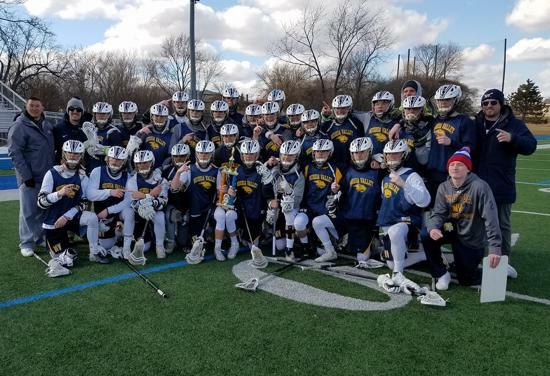 Remind will be the coach's main way of communicating during the 2019 Spring Lacrosse season, with last minute changes going out. To sign up for "Remind" notifications we have provided you a few easy options. The fastest way to join a "class" (team/group) is via text. Subscribers simply text @nvlax2019 to 81010. Download the Remind App- Remind is available on iOS and Android devices. Anyone can download Remind, create an account and join a class quickly by using a class @nvlax2019. Subscribe via email - Head to www.remind.com/join and enter the class code @nvlax2019 then your email address and/or cell phone number. Follow the instructions.